Our mission is to provide comprehensive wealth management services to successful individuals, families, and business owners that can help them retire comfortably and ease fears of financial uncertainty. We endeavor to do this by helping our clients make better-informed decisions about money, organizing their entire financial life, and developing a well-defined plan that guides them through each stage of wealth accumulation. Our comprehensive wealth management process starts with listening to you—getting to understand your immediate needs, tolerance for risk, investment time horizon, tax situation, family considerations, and specific financial goals. We understand that building wealth involves not only accumulating and growing assets, but also most importantly, preserving it. Our belief is that wealth preservation and asset growth result from maintaining regular communications with you, employing sound investment principles, implementing customized investment strategies, and providing ongoing monitoring of your investments. Our clients receive unbiased advice, as we’ve committed to always place their best interests first. We are passionate about wealth management and the roles we play in helping our clients pursue their financial goals. Give us an opportunity to show you the differences of working with the ARK Wealth Advisory Group. We employ a disciplined investment management process. 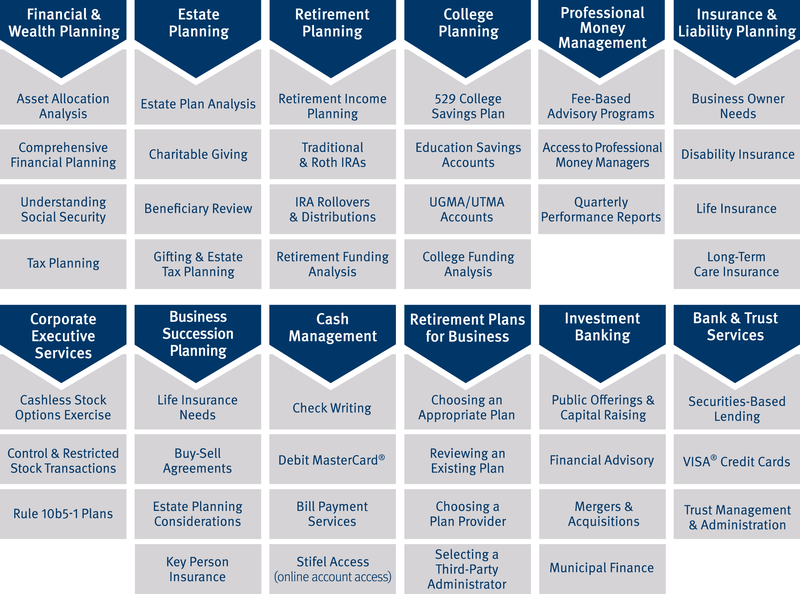 If you’re like most investors, you have investments spread across several taxable accounts, employer-sponsored retirement plans, IRAs, and annuities. This structure often leads to “piecemeal investing” – acquiring different types of investments without considering how they affect your total investment portfolio. In this situation, investors may find themselves overly concentrated in one area and not adequately diversified. Choosing the right balance of stocks, bonds, and cash – and then selecting suitable investments within those categories – is a key to managing your portfolio wisely. Although there are no guarantees in investing, the use of a diversified investment strategy that reflects your objectives, time horizon, risk tolerance, and resources may increase your chances of meeting your financial objectives. The ARK Wealth Advisory Group can analyze your current investment allocation and create a customized strategy to help you work toward your goals. 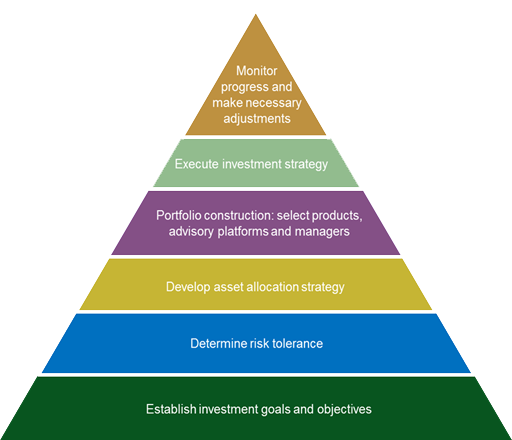 Asset allocation and diversification do not guarantee a profit or protect against loss. Are your investments allocated properly to fit your needs? Do you need to do estate planning? Are there enough funds and insurance for your survivors? Do you have adequate assets and insurance in the event of a disability? What will college costs be for your children/grandchildren? Stifel nor its associates provides legal or tax advice. You should consult with your legal or tax advisor regarding your particular situation. Stifel is committed to a comprehensive approach of providing an array of financial services to our clients. Through our wealth management process, we coordinate asset allocation, cash management, investments, financial planning, estate and trust planning, corporate executive services, and business owner services and solutions. Through this process, we address creating and growing wealth, mitigating risk and preserving wealth, and planning for the distribution of wealth during life, and distribution of wealth at death in the most tax-advantaged way. Stifel’s wealth management process consists of six steps that help get an overview of the client’s current situation, choices available, and what must be done to pursue goals. 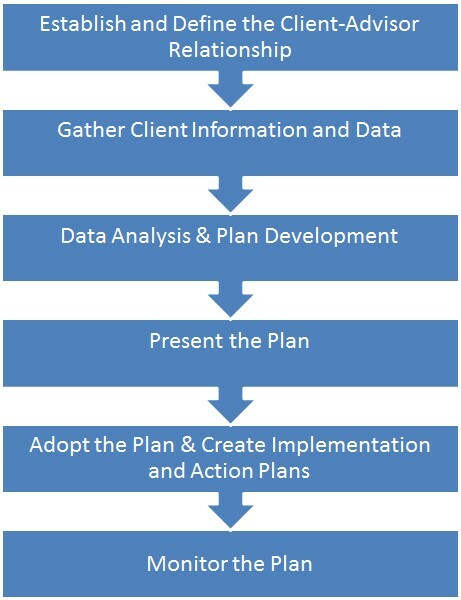 The process involves gathering relevant financial information, determining life goals, examining current financial status, and formulating a strategy or plan for how to work toward goals given the current situation and future plans. Should you have any questions or concerns, please feel free to contact us. We will promptly respond to your call or e-mail. We contact our clients on a regular basis by phone, e-mail, and/or in person to provide financial documents, recommend suitable investments, follow up on their concerns, and recognize their personal achievements and life milestones. We send out equity research articles and weekly e-mails that recap recent market events. We conduct meetings with our clients on an annual, bi-annual, quarterly, or as-needed basis to review their accounts and make necessary adjustments. Stifel provides our clients online access to view their accounts. We can help you register for online access, learn how to navigate the web site, and troubleshoot any issues that come up. We work with your accountants and lawyers to position your financial picture in the most efficient manner. A husband and wife, both retired, are clients of the ARK Wealth Advisory Group. The husband handled all things related to their finances, and the wife took care of everything else in their lives. In 2010, the husband tragically passed away. Without knowing anything about their finances and the complexity of the husband’s tracking system, the wife was left with a pile of more than 15 different statements, from taxable accounts, stock dividend reinvestment programs, old 401(k)s, IRAs, annuities, and life insurance policies – all with different institutions. The wife tried to figure out how to handle all these different accounts, but became overwhelmed and extremely frustrated. She then called the ARK Wealth Advisory Group for assistance. We analyzed her statements and immediately began to work on her situation. First, we helped change all of the husband’s account titles so that the wife had full access to the accounts. Next, we consolidated similar-type investment accounts to reduce the number of accounts. She requested that we transfer her assets to our firm, and we helped her rearrange her investments to a more suitable allocation. Lastly, we provided continual monitoring of all her financial assets as they relate to her objectives in life and the changing economy. Whether you’re in this individual’s situation, seeking help to prepare for retirement, or just want a different perspective from a team of financial advisors, we encourage you to give us the opportunity to show you the differences of working with the ARK Wealth Advisory Group. The case study presented is for illustrative purposes only. Past performance is no guarantee of future results. These strategies do not guarantee a profit or protect against loss and may not be suitable for all investors. Each client’s specific situation, goals, and results may differ. ARK Wealth Advisory Group also offers Concierge-Level Retirement Plan services and our mission is to provide concierge-level retirement plan services to BOTH employers and employees to help them develop a more comprehensive retirement plan. Click to learn more.